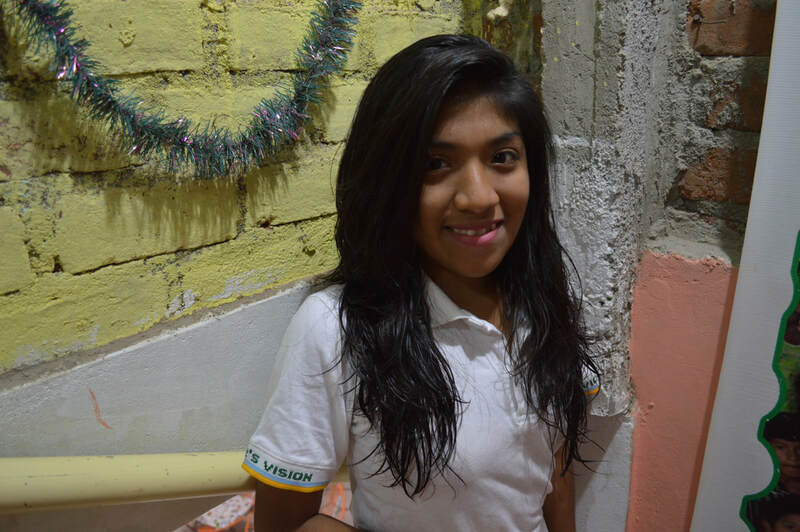 Yanely joined Victor's Vision in 2015 when she was 11-years-old. She lives with her mom, dad, two brothers (one older and one younger) and her older sister. Yanely's mom studied until 9th grade and her dad studied until 3rd grade. Her father sells brick and her mother takes care of the home. Her older brother is studying administration in a university and her sister is studying pharmacy at a university as well. "I think it’s important that I also go to university so I can study more. When I go to university, I want to go to Piura and I want to study corporate administration like my brother. This seems like a really good career. I think it’s important to be part of this program because it’s a good opportunity to learn more. Everything here is my favorite part. My favorite class is English because I can hopefully go to a different country one day and be able to talk to people. I want to go to Mexico where I can see something different from here."